The family name is Scout’s to preserve. After Harper Lee released the first chapter of Go Set a Watchman to The Guardian and The Wall Street Journal, Buzzfeed published a poll surveying readers about their responses to one of the most shocking revelations in the book: Jem’s death. The most popular response, garnering 58% of 14,660 votes, was, “I’m devastated. Jem was the ultimate big brother. Literally in tears right now while I cancel my preorder.” “I can’t believe it. I have tears in my eyes,” a commenter mourned in a Vulture article titled, “Let’s Talk About That Sentence in Go Set a Watchman.” Time’s Daniel D’Addario wrote, “One of the most important relationships in To Kill a Mockingbird is now effectively over; fans of To Kill a Mockingbird who’ve been hoping to return to Maycomb for decades will not revisit one of its most sensitive and complex residents.” When, nearing the end of our reading of To Kill a Mockingbird, I asked my class of 9th-graders whether or not anyone had read Go Set a Watchman, one student announced matter-of-factly, “Jem dies.” Other students gasped. Readers come to know Jem, or, more formally, Jeremy Atticus Finch, through Scout’s narration of her childhood, and our narrator’s clear attachment to her older brother is contagious. But if you read the first page of To Kill A Mockingbird with close attention to the way Scout switches verb tenses, Jem’s death comes as no surprise at all. To the contrary, Jem is already dead by the time the novel begins. In the first paragraph of Mockingbird, Scout uses the past tense to recall that Jem broke his arm when he was thirteen and his body never truly recovered. She explains, “His left arm was somewhat shorter than his right; when he stood or walked, the back of his hand was at right angles to his body, his thumb parallel to his thigh.” Here, Scout explains how Jem’s accident permanently affected his body. In the next paragraph, she switches to the present tense and then back again when she says, “I maintain that the Ewells started it all, but Jem, who was four years my senior, said it started long before that.” Scout is alive to tell the tale — she “maintains” in the present tense. Meanwhile, Jem exists only in the past tense — by the time Scout tells the story, he is no longer four years Scout’s senior, and his left arm is no longer shorter than his right. Jem has been dead for as long as Scout has been telling the story of his broken arm. What to do with this information? Maybe this reading of the first several lines will change the novel’s meaning for you. Maybe To Kill a Mockingbird is meant to be read as a Finch family history, written to memorialize Jem and to preserve Atticus’s legacy. When I suggested this interpretation — that To Kill a Mockingbird is a book about writing a book and recording history — to my freshmen, one student’s brow furrowed and he asked if Scout had any male cousins that shared her last name. After I confirmed that Dill and Francis bore different surnames, he explained his rationale for asking the question: if Jem is dead, the Finch name is Scout’s to preserve. My freshmen are sharp. Since Scout is a woman, and therefore likely to either marry and take her husband’s name or remain unwed and childless, writing a book about her family was a way to preserve the Finch name and its history. There are several more cousins of various generations littered throughout the novel — like Atticus’ cousin, Ike Finch — who may or may not have children, but the point remains that if Jem were dead, Scout would shoulder the responsibility of preserving the meaning of Atticus’ and Jem’s lives in particular. 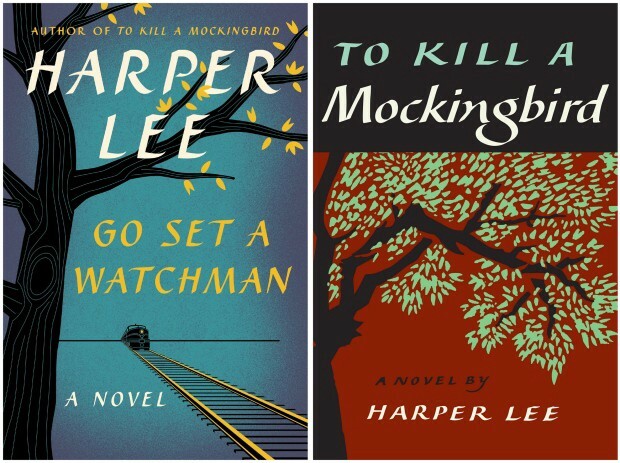 Given Lee’s repeated references to national, local, and familial histories throughout Mockingbird, it would make sense to think of the book as a Finch family chronicle. Time and again, Atticus, Jem, and Scout grapple with what it means to preserve their roots. In the first chapter, Scout tells us that the story of Jem’s broken arm began with Andrew Jackson, because he was responsible for their ancestor Simon Finch’s settlement near Maycomb. Jackson also haunts a later chapter in which Maycomb has a town pageant celebrating its history. In another scene exemplary of Lee’s emphasis on historical consciousness, Aunt Alexandra has pressed Atticus “to talk to [Scout and Jem] about the family and what it’s meant to Maycomb County through the years, so you’ll have some idea of who you are, so you might be moved to behave accordingly.” Aunt Alexandra wants the kids to be prepared to assume the responsibilities of the class into which they were born. When young Scout complains that she cannot remember “all of the things Finches are supposed to do,” Atticus tells her to forget the whole conversation. He is torn between maintaining tradition — preserving the Finch legacy — and inculcating his children with a sense of moral and social responsibility that reflects the challenges they face in Depression-era Maycomb. After recounting this episode, Scout brings us back with her into the present tense as she reflects, “I know now what he was trying to do, but Atticus was only a man. It takes a woman to do that kind of work.” She never says explicitly what this work was, but it has something to do with preserving the Finch name. Is this the kind of work that, in her father’s absence, our adult narrator understands herself to be doing? It’s certainly plausible. One of the book’s central concerns is the relationship between past and present, at national, local, and personal levels. This is to say that Scout, the story’s narrator, is in a constant state of remembrance, and perhaps mourning. But even if Scout is recounting this story, does she think of herself as writing a book? How could we tell if Lee did endow her with this awareness of her enterprise? In a rare 1964 interview with Roy Newquist, Harper Lee said, “I would like to be the chronicler of something that I think is going down the drain very swiftly, and that is small town, middle-class southern life.” To Kill a Mockingbird is, indeed, a chronicle of a place like Monroeville, Lee’s hometown. Of course, Lee knew she was writing a book. And maybeerhaps she understood Scout as her stand-in. In the same interview, Lee said of her childhood, “I think that kind of life naturally produces more writers than, say, an environment like 82nd Street in New York. In small-town life and in rural life you know your neighbors. Not only do you know everything about your neighbors, but you know everything about them from the time they came to the country.” Lee’s interest in origin stories stems from her own upbringing. It would make sense if Lee had thought of Scout as one of the writerly types so common to places like Maycomb. But Scout never acknowledges potential readers of or listeners to her story, as you might expect of a character with the awareness that he or she is writing. But in the same interview, Lee told Newquist, “Writing is the one form of art and endeavor that you cannot do for an audience. Painters paint, and their pictures go on the wall, musicians play, actors act for an audience, but I think writers write for themselves.” So maybe Scout writes for herself: to keep her brother alive in her own memory, and to remind herself of her heritage. Books tie the Finch family together throughout the story, so writing one would be a fitting tribute. Throughout Scout’s childhood, Jem is constantly reading and recommending books to his kid sister. This delights her when they are younger but turns into a power struggle as they get older. In the second part of the novel, Scout recalls, “His maddening superiority was unbearable…He didn’t want to do anything but read and go off by himself. Still, everything he read he passed along to me, but with this difference: formerly, because he thought I’d like it; now, for my edification and instruction.” Even as Jem grows moody and Scout finds him intolerable, their bond through books changes to accommodate their new dynamic, but it does not disappear. Reading is at the center of the Finch family dynamic. When, at the very end of the novel, Jem lay in bed unconscious, injured by town antagonist Bob Ewell, Scout found Atticus reading one of her older brother’s books. When she asked why he was doing this, Atticus replied, “Honey, I don’t know. Just picked it up. One of the few things I haven’t read.” The novel ends with Atticus reading the book aloud to Scout. They are able to access some corner of his mind even though he cannot communicate. Maybe writing a book like Mockingbird is the best way Scout knows to pay tribute to her family. Many of my students found Mockingbird’s last chapter boring. To be sure, not much happens on the level of plot. Atticus reads Scout to sleep from one of Jem’s books. These are the last lines of Mockingbird: “He turned out the light and went into Jem’s room. He would be there all night, and he would be there when Jem waked up in the morning.” Scout’s verb tenses are odd. It’s easy enough to pass them off as dialect. But what if “would” indicates contingency and possibility, and “waked” indicates an action that is complete? In other words, as the story draws to a close, if we think of Jem as eternally asleep, about to awaken, Scout’s parting words take on a tone of self-reassurance. Try Googling, “Is Jem dead?” So many middle- and high-school students are panicked by the ending. We know, of course, from the first lines of the novel that he wakes up from this specific scare, but reading the book from end to beginning makes the last lines sound very much like Scout reminding herself about the time she thought she’d almost lost him but he’d pulled through. The book’s ending invites a rereading of its beginning, and in so doing keeps Jem’s memory constantly alive. The novel forms an endless loop of remembrance. This advice is sexist, sure. But Calpurnia’s point — that it is not always best to make facts obvious to an unwilling audience, and that combative language is not always the best way to change someone’s mind — sums up a lot of what’s great about the novel. To Kill a Mockingbird is a secondary school classic because it starts conversations. Fans of To Kill a Mockingbird should consider that it is possible that the novel is about mourning Jem so that they can read it with all of the spiritedness it is meant to inspire. Annie Abrams teaches and writes in NYC.